Beautiful Emerald Island Resort home with private pool & Spa fully furnished!!!! Great as investment or vacation home, ready to start. Emerald Island is one of the premier Vacation Communities in the area very close to the Parks and shopping Gated and Guarded with a luxurious community Clubhouse House which has recently been repainted inside and brand new carpeting throughout! Home comes fully furnished and equipped for your private use or Vacation Rentals. Master Bedroom Downstairs with adjoining bathroom and 5 bedrooms are on the second floor including a second Master with a connected bathroom. Has a landing bonus area on the second floor with a Flat Screen TV and seating. Every room has Flat Screen TV’s including a larger screen in the Family Room. Kitchen comes with all appliances and has a large Island with 5 stools . The Garage has been converted to a Game Room. All wet areas are tiled. Large Screened Pool and Heated Spa outside. Great Corner lot location! 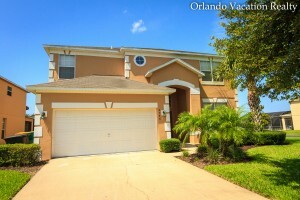 Are you in the market for an Orlando Vacation Home? For more information on this one, or many others in the area, call me 1 (407) 800-0888 or send me an email An@orlandovacationhome.com.